InsightShare Network’s (ISNet) Living Cultures initiative supports Indigenous Wisdom Keepers and Earth Defenders to protect their territories through safeguarding culture and biodiversity. 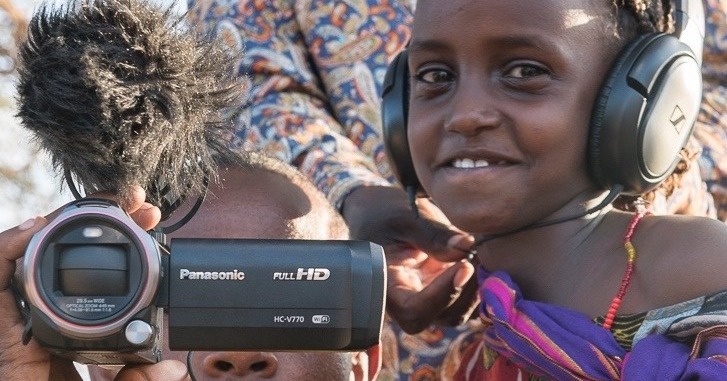 Living Cultures is a growing movement uniting indigenous communities across borders; to celebrate, foster and protect their cultures with Participatory Video at its very heart. 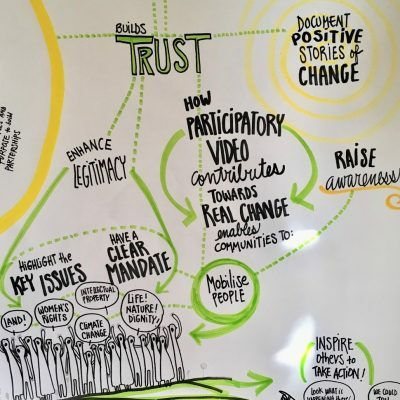 Video communicates compelling stories and powerful actions of grassroots activists, increasing the agency, capacity, confidence and motivation of our partners to take control of the factors influencing their lives. The result of online distribution and local screening events is to strengthen community protection through building allies and audiences across the globe. We work across four continents in critically endangered ecosystems to enable Indigenous Peoples to harness the power of participatory video against threats like climate change and mega development projects. Our goal is to achieve the UN Declaration of Rights of Indigenous Peoples (UNDRIP) through strengthening self-esteem, autonomy and resilience, and the cross-fertilisation of knowledge and best practice. 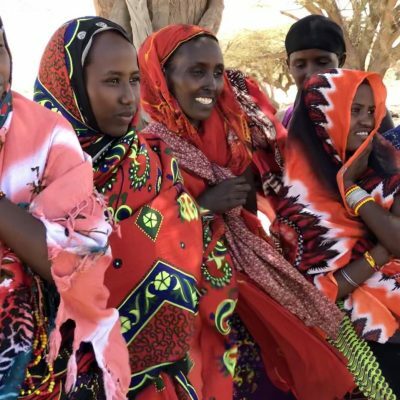 We are honoured to have worked with Indigenous Peoples from nearly 20 countries including: Quechua and Aymara (Peru), Yaqui, Comcaac, Mayos, Raramuri (N.W Mexico), Gamo (Ethiopia), Gabra, Konso, Borana, El Molo (Northern Kenya ), Baka and Batwa (Uganda, Cameroon and DRC), Maasai (Tanzania and Kenya), Naga, Khasi, Garo (NE India), Igorot (Philippines) and Kuna (Panama). Each partner has played an instrumental role in guiding the evolution of the InsightShare Network. ISNet is a non-profit organisation with an international and multi-disciplinary steering group comprised of community representatives, leading academics and activists. ISNet represents our long term commitment to the principles of decolonisation. and workshops, receiving recognition from Zapatista leader Sub-Comandante Marcos! 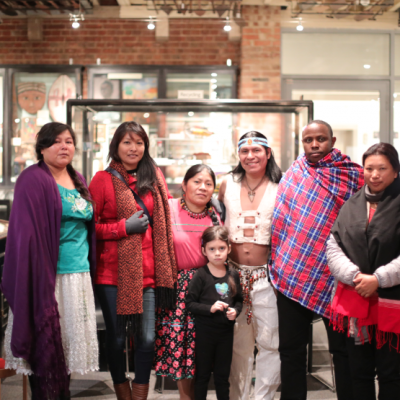 Samwel Nangiria, a Maasai activist and leader of local participatory video collective, joined us in November 2017 to work with our other indigenous partners from India and Mexico to build a network of indigenous-led participatory video hubs. As part of this, Oxford University Pitt Rivers Museum kindly hosted an event: Stories of Solidarity and Resilience, moderated by Guardian journalist George Monbiot. Museum Director Laura van Broekhoven also arranged for the group to meet curators and interact with objects from their respective regions. And this is what planted the seeds for Living Cultures. Living Cultures is part of a unique collaboration between Oxford University Pitt Rivers Museum and InsightShare. It brought five Maasai elders and leaders from Tanzania and Kenya to the UK for two weeks in November 2018 to realign narratives from the colonial past and relate them to the continuous struggles of the present. 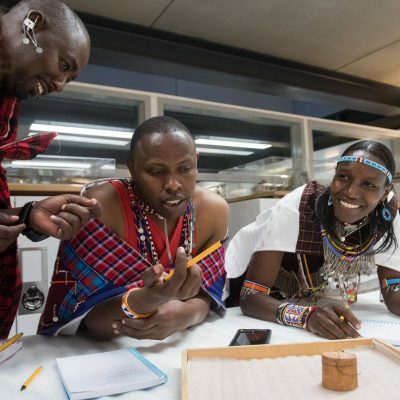 The Maasai worked with curators for five days to start the transformation on how indigenous living cultures are represented in the museum, as part of Pitt Rivers Museum’s ‘Origins and Futures’ programme. The InsightShare team have worked for over 20 years with indigenous communities to enable them to better represent themselves on critical issues. Our work is guided by the UN Declaration of Rights of Indigenous Peoples. Today we are recognised as a leading force in the global movement towards indigenous self-determination and autonomy. We do this through incubating and nurturing an global family of grassroots video hubs and participatory video collectives – an autonomous, indigenous-led video movement.